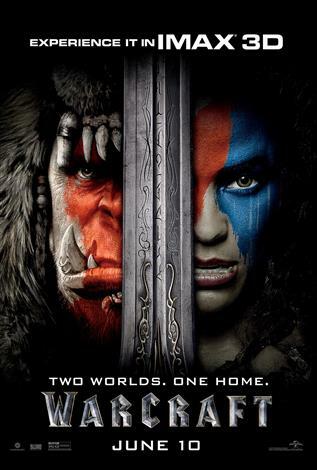 The IMAX release of Warcraft will be digitally re-mastered into the image and sound quality of An IMAX 3D Experience® with proprietary IMAX DMR® (Digital Re-mastering) technology. The crystal-clear images coupled with IMAX's customized theatre geometry and powerful digital audio create a unique environment that will make audiences feel as if they are in the movie. The film, an epic adventure of world-colliding conflict, will be directed by Duncan Jones (Moon, Source Code) and is written by Charles Leavitt and Duncan Jones. The producers are Charles Roven and Alex Gartner for Atlas Entertainment and Thomas Tull and Jon Jashni for Legendary. Stuart Fenegan, Jillian Share and Brent O'Connor will serve as executive producers. Blizzard's Chris Metzen will co-produce.